In ESO bag and bank space management is an important part of character progression. It might not seem like it but bag and bank space mismanagement can have repercussions for your character. You might be out in the world and find that you don’t have enough space to pick up that great item that you just found. To be a successful crafter in ESO also requires enough bag and bank space to store all of your crafting materials like ingots, upgrade materials, racial style materials and more. Your bag, or inventory, is the stuff that you carry around with you on your character. All of your characters will start off with 60 inventory slots to fill with items from weapons to armor and all of the crafting materials. I try to keep this as empty as possible but it is definitely wise to carry some much needed items wherever you go. Things like Soul Gems and Lockpicks are required, as well as any weapons or armor that you plan to use. Consumables like food, drinks, potions and even siege equipment might also be necessary to carry with you. Quest items do not take up slots in your inventory, so you don’t have to worry about these items. You also don’t have to worry about carrying specific crafting materials with you to the crafting locations as you will be able to access all of the materials in your bank at any crafting station in Tamriel. The easiest way to get started managing your inventory is simply by upgrading your bag space. This can be done at any bag merchant located in most major cities. 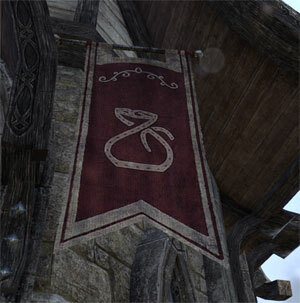 There is one in each of the starting cities as well – Vulkul Guard, Daggerfall and Davon’s Watch. Increasing your bag space costs gold in ever increasing amounts, so you can’t get it all upgraded at once. The first upgrade of 10 slots costs 400 gold, then 2000 gold and so on. Your bank space is similar to your inventory space – you can store items and gold in there. The difference is that all of your characters share the same bank space. This provides a way to share items between your different characters and store crafting materials that any of your characters can use. You will start off with 60 bank slots and, like bag space, these can be upgraded at any time at a bank. You can upgrade your bank slots to a maximum of 240 slots, however this is really expensive. In fact upgrading to 240 slots costs 768,500 gold in total! Make sure you leave some room in your inventory free before you go out adventuring as you will come across items, crafting materials and so forth. You can put all of your crafting materials in the bank so that all of your characters can access them at any crafting station. Sell things to merchants and deconstruct old equipment to save space. You can increase your inventory space (up to 60 more slots) with a mount active by training your Carrying Capacity Riding Skill. If you are not using certain crafting materials then you can consider selling them to players or to merchants to free up some space. You can always collect or buy some materials later. You don’t have to keep every piece of armor, ever weapon and every other thing that you find in your travels. Try to keep only one “tier” of potions and food in your inventory at any one time. So you can sell off old potions and food if you out level them and find better alternatives. If you are desperate you can create a “mule” character which you can use to store items. Did they increase the amount of bag space with the new update because I am at 110 slots but when I talk too the pack selling guy he ask me if I want to upgrade it again for 30k? If so do you know what the new max slots are? Yeah, a recent patch increased the max bag space but I am not exactly sure how much they added. I think it was another 3 upgrades making it 140 max but I am not fully sure. also any upgrades to your inventory or bank that are bought from the crown store count against your total as far as the pack merchants and bank space upgrade options are concerned. There is definitely more space upgrades. thought I just purchased the last one, but I’ve got another upgrade for 40k. I just wish they could make it so you can store items in containers in your house. lol. Also, if you become a subscriber, you get a bottomless craft bag. It takes any craft items you find or have stored and puts them in the bag, so you don’t have keep them in the bank or on you. All characters share the craft bag. 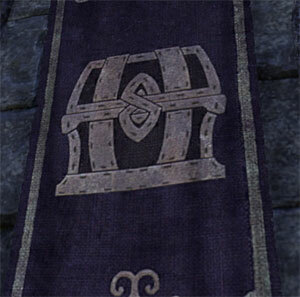 ESO Plus doubles your bank space and gives you the unlimited space craft bag for storing crafting materials. Also, if your subscription expires you can keep everything you had but won’t be able to store anything else until you get below your max space amount. Did they make the Bank upgrading Crown Store only on Xbox One? Any town I go to, I can never get a Banker who gives me the option of expanding. Why does the Bank state “I cannot afford the upgrade”? Actually, it caps at 99,999 per item.